Jimmy Doolittle used an artificial horizon during his 1929 blind flight. An artificial, or gyro, horizon is the main instrument pilots use to fly through bad weather and low-visibility conditions. It indicates the aircraft’s orientation relative to the earth, expressed as pitch, roll, and yaw. This is the first production model, the same type Jimmy Doolittle used in his historic 1929 “blind flying” test. Photo by Eric Long, Smithsonian National Air and Space Museum (NASM 2014-04796). 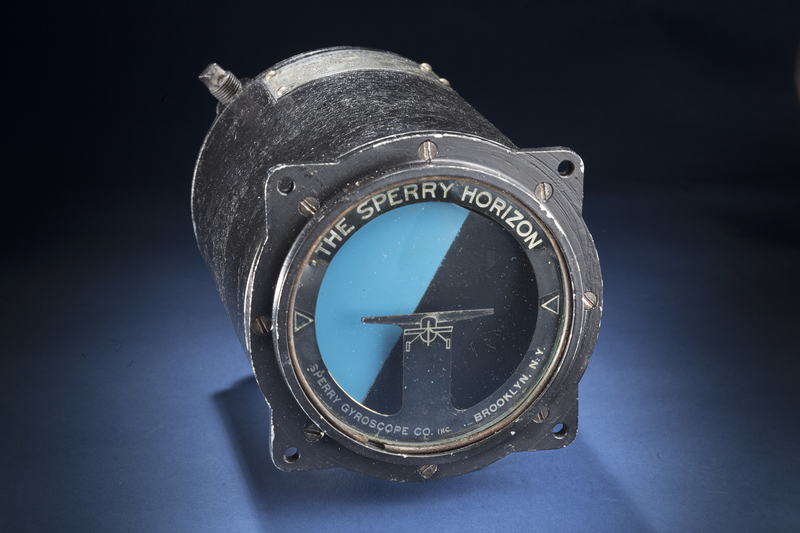 Find out more about Sperry Artificial Horizon.